Buddy Griggs Plumbing specializes in services and repairs to cover all of your residential and commercial plumbing needs. Locally owned and operated since 2009. When you work with BGP you will always interact directly with the owner, Buddy Griggs. 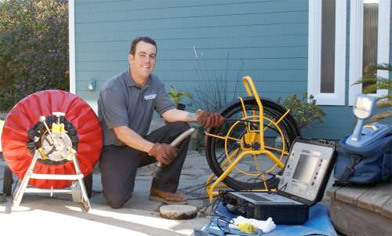 Buddy Griggs has over 25 years of service plumbing experience throughout the Bay Area and Santa Cruz including Aptos, Capitola, Felton & Scotts Valley. By using an inline camera system, we are able to diagnose the source of the problem whether it’s a blockage in the sewer lateral or a broken line. While the initial cost of a tankless water heater is typically higher than traditional hot water storage systems, they can save your household money over time.